As Japan’s capital city, Tokyo is the country’s political, economic, and cultural centre. A vibrant metropolis with over 130 universities and a population of over 13 million that never sleeps, Tokyo is an exciting place for things to do and see. Tokyo is the heart of Kanto, a region that can compete with France in terms of 3-star Michelin restaurants. Tokyo is also a gourmet city, producing some of the most creative and delicious fare in the world. Always the first with latest culinary trends, Tokyo is overflowing with talent. Visit the famous Tsukiji market or Kappabashi, the city’s prime shopping destination for culinary professionals, and immerse yourself in the exciting cuisine of Tokyo completely. 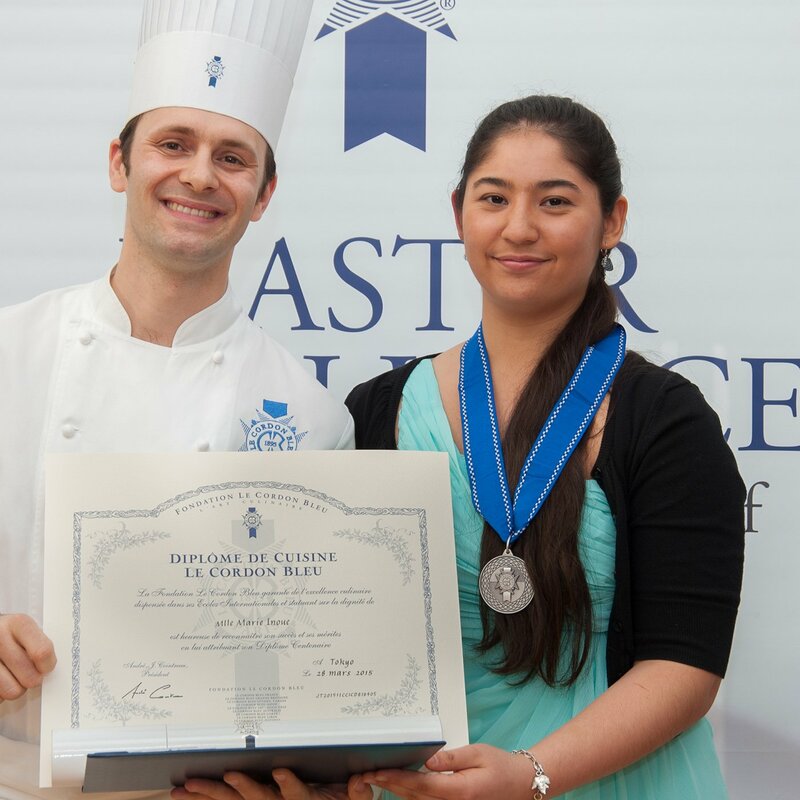 Le Cordon Bleu has been helping passionate students follow their culinary dreams over the last 120 years. Students come to Le Cordon Bleu from all walks of life. They are beginners enthusiastic about the culinary arts but utterly inexperienced; they are far along on one career path and ready for the next; they are established professionals seeking to improve themselves. Regardless of their ultimate goal – to run a restaurant or catering company, hotel or retail management, journalism, consulting, food styling – the students of Le Cordon Bleu come for the culinary education that will allow them to succeed. Le Cordon Bleu offers trial experiences such as actual classwork, orientation fairs, and private consultation for prospective students. Orientation fairs are open-houses held at the school where prospective students are provided detailed descriptions of courses and facilities, and small group tours of demonstration and practical classes (Cuisine, Pâtisserie or Boulangerie). Please apply to attend a fair using the contact form of the campus of your choice. *Please note that the contents of orientation fairs and practical experience events are subject to change without prior notice. The chefs of Le Cordon Bleu are world-class professionals with experience in first-rate hotel kitchens and Michelin-starred restaurants or patisseries. These select chefs are not only technically skilled, but are also capable of adeptly explaining the theory behind their techniques to students. Following Le Cordon Bleu’s philosophy of excellence, students will learn from our dynamic chefs the sensitivity, boldness, passion, and confidence to become professionals in their craft. The chef-instructor team at the schools in Japan include Japanese chefs and pâtissiers. These talented chefs have had rich experiences in France, but retain their Japanese style in their work, and are perfect chefs from which students can learn how French technique can combine with Japanese culinary culture. Special instructors are also regularly invited for our academic programmes that allow students to experience more niche or specialized areas of French cuisine and culture. 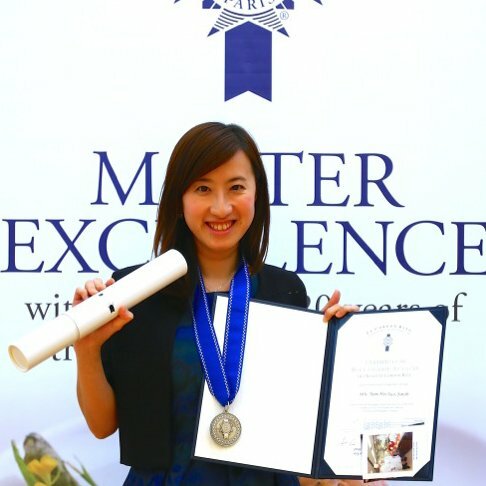 Students from all over the world come to Le Cordon Bleu Japan with their own unique goals and dreams. Let’s take a glimpse into their school life to discover what they’ve experienced, learned, and struggled with as they work hard towards achieving them. My dream came true when I opened my own food startup ProntoChef in Brazil, a weekly dinner kit delivery service where clients receive recipes and all ingredients measured and ready for cooking at home. The highlight during my time at Le Cordon Bleu was meeting all the experienced chefs and being able to learn from them the very classics of French Pastry with my classmates from around the world. The chefs at Le Cordon Bleu possess a great wealth of knowledge and being able to learn from them was both an honour and a privilege. The reason why I chose Japan is because I believe the Japanese food industry is unique there, especially its culture of elaborate and attentive customer service. However, my Japanese wasn’t proficient enough. Le Cordon Bleu Japan was great because they provided classes in English, so I was able study at this famous institution in Japan without any language barriers. Ask as many questions as you can to the teachers. They have such a wealth of knowledge in their area of expertise, and they are more than happy to explain things to you. I was nervous at first to ask ,but I learned not to be shy. If you are passionate about cooking, Le Cordon Bleu can help you build a foundation that will benefit you in the working world. Completing the Diploma in Boulangerie course in Le Cordon Bleu and having a book published were two of the key highlights in my life. Follow your heart and devote to work out what you love, I believe these are the keys. The speed of the general class and the tight schedule. Overcoming it comes to your dedication and love for what you are doing. When one does what he loves doing, I believe one is able to persevere and tackle any challenges without getting bored and giving up. Never get stressed, gauge the extent of your own abilities and focus on doing the little things correctly. Speed comes naturally but techniques are to be mastered. 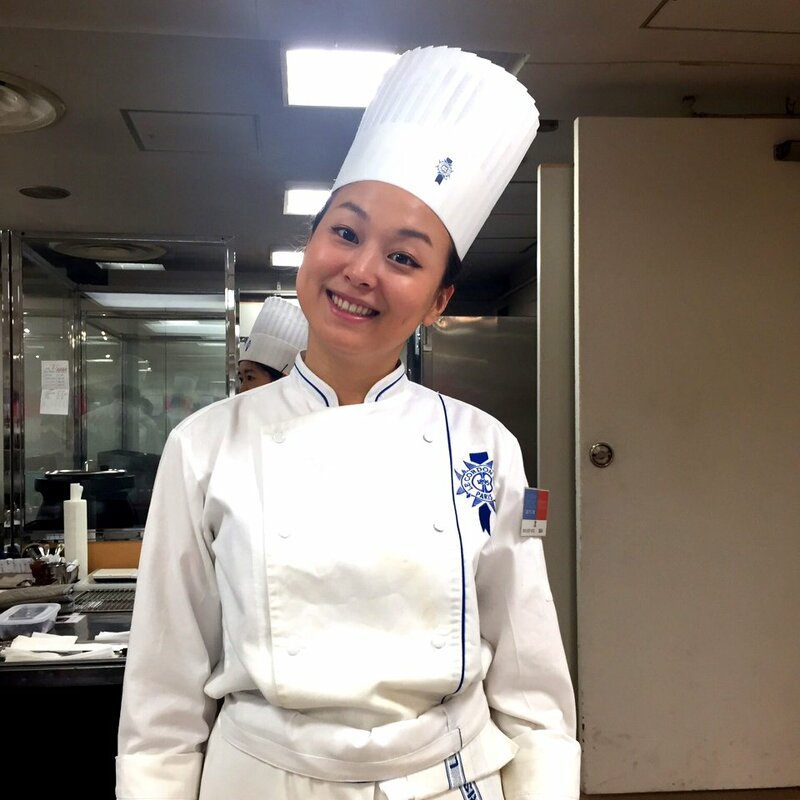 Le Cordon Bleu Japan attracts students from everywhere. It allowed me to interact with people from different nationalities and expanded how I think about cuisine. I was born in the United States, but my mother is French–American and my father is Japanese. Having a tri-cultural background, I believe I really impart that into my cooking. After meeting so many different people at school, my view on cuisine is now so much broader. I applied to Le Cordon Bleu Japan to pick up the skills necessary to make it as a professional chef. The shared goal of my family and myself is to eventually inherit, operate, and expand the operations of our family restaurant business. Everything I learned at the school, I can apply to the business; they are skills that high level professionals employ. Discover “food” and change your future. Those who come out of Le Cordon Bleu do not only become chefs.Striving toward their individual dreams and goals, the occupations of our graduates span a wide range.We can see that the “food industry” can involve a great many things by taking a look at our many graduates. These individuals have all studied at Le Cordon Bleu and these are their stories. Café Le Cordon Bleu is a cafe with an authentic French ambience. Please enjoy a variety of deli, pastry and bakery items that are thoroughly supervised by our chefs and are chosen from our school recipes. We also provide seasonal menus, special parties and events. Our online shop offers you a variety of items carefully selected by Le Cordon Bleu. Le Cordon Bleu Japan was present at Ritsumeikan University’s Open Campus in BKC campus to promote our newest higher education programme to launch in April 2018. Le Cordon Bleu Japan and Ritsumeikan University deliver a collaborative programme next April! Lining a tart mold correctly is an essential step in making any tart. The correct technique ensures that the tart will bake evenly and look perfect.